It is the responsibility of organisations across all industries to deliver onboarding and ensure it’s effective. If this isn’t done adequately, it directly impacts the company in many ways. A common mistake that organisations make is thinking of onboarding as a one-off event, when it should be a continuous process. Employees who experience poorly organised initiations and haven’t received sufficient guidance in their new role will, consequently, leave sooner. Statistics that support this show that almost 33% of new hires start searching for a new job within six months, and 23% of new employees leave their job within the first year. Effective onboarding can combat this issue, because employees are given a chance to become engaged in the company’s business culture. Better engagement and genuine interest in what the company achieves helps to retain top talent. Building a relationship with your employee through effective onboarding will also help retain talent. Open communication can be difficult to establish with new employees at the beginning, as the prospect of a new job role can be intimidating. However, an onboarding programme that allows them to become comfortable with their new colleagues will encourage wider communication and create a more comfortable environment to work in (and learn in). Effective employee onboarding is also vital for high productivity levels. Employees who are fully knowledgeable about the requirement of their role and the organisation’s business objectives will perform better. New employees can also learn a lot from existing employees, who can be part of the onboarding experience. 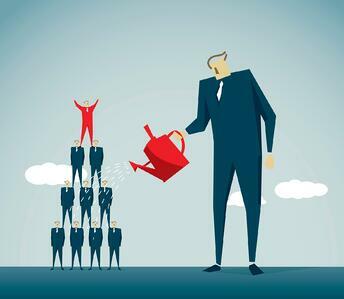 Support given to new employees will help them become more engaged and productive, which equates to business growth. In addition to this, a strong onboarding programme means time and money saved for the organisation. Although other members of staff can help with training new employees, this pulls them away from their own daily duties, ultimately affecting productivity. Onboarding can come in the form of e-learning, which proves to be a more cost-efficient method as it saves the time and money spent organising training days. Wranx excels in delivering onboarding through e-learning by making training widely available to employees due to it being available from any internet-connected device. It also takes only 2–3 minutes a day to complete, which is just 15 minutes, or 0.7%, out of the average working week. It is clear to see that a strong onboarding programme has a variety of benefits for both employees and the organisation. It is often debated how long onboarding should really last, with years and months said as being suitable length of times. However, being able to deliver onboarding through various mediums, such as e-learning, can cut this length of time significantly, whilst also saving costs. Effective programmes help new employees become more comfortable within their position and foster a pleasant work environment they will thrive in, which positively impacts productivity and employee retention.